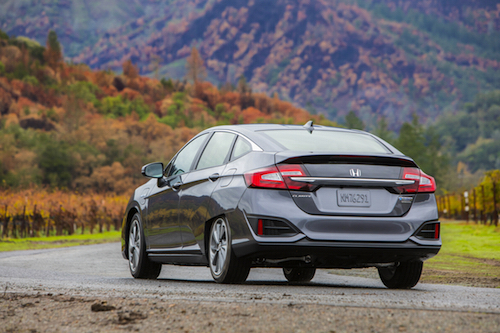 The new Honda Clarity series was recently recognized by the Coalition for Clean Air with a California Air Quality Award. The prestigious 2018 California Air Quality Award for Corporate Environmental Stewardship, recognizes vehicles that reduce or eliminate tailpipe emissions without sacrificing style, comfort or performance. Currently the 2018 Honda Clarity Plug-in Hybrid is the only model of the Clarity series to be available for purchase nationwide. Other models in the series include the 2018 Clarity Electric and the 2018 Clarity Fuel Cell models, both available in select markets in California. The Coalition for Clean Air is a non-profit organization that encourages new technology, laws and environmental practices that promote clean, healthy air for California. 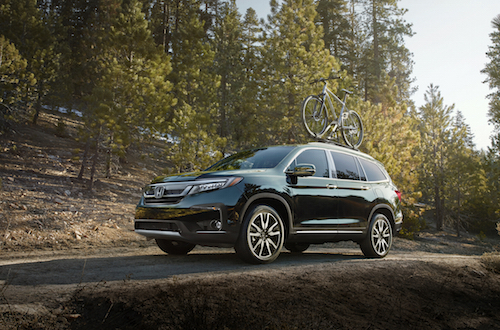 “The Coalition for Clean Air is proud to recognize Honda with a California Air Quality Award. By leading the way in fuel efficiency among all major carmakers and committing to having two-thirds of its global automobile sales to be electrified vehicles by 2030, Honda has set a gold standard for others to follow,” said Dr. Joseph K. Lyou, president and CEO at Coalition for Clean Air. 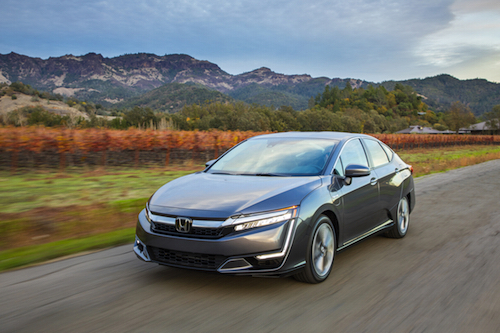 New Honda Clarity models have been designed to provide customers with an ultra-low carbon vehicle that fits their lifestyle and transportation needs. The wide aerodynamic exterior styling of the Clarity is perfectly matched with a five seat cabin filled with premium, environmentally responsible materials. All models are equipped with Honda Sensing® advanced safety features as well as Display Audio with Apple CarPlay™ and Android Auto™ integration. The Clarity also maintains Honda’s “fun-to-drive” DNA courtesy of electric drive torque and acceleration for a smooth and seamless driving experience. Our Honda Dealership near Atlanta is pleased to offer a selection of new Honda Clarity Plug-in Hybrid models for sale or lease. If you would like to learn more about this innovative and environmentally friendly new Honda car please contact us. *Based on manufacturers’ data comparing midsize plug-in hybrid class at time of launch. 247-mile maximum EV mode driving range rating. 340-mile combines gas-electric drive range rating. Ratings determined by EPA. Use for comparison purposes only. Your driving range will vary depending on driving conditions, how you drive and maintain your vehicle, battery-pack age/condition and other factors. For more information, visit Kelley Blue Book’s KBB.com. Kelley Blue Book is a registered trademark of Kelley Blue Book Co., Inc.